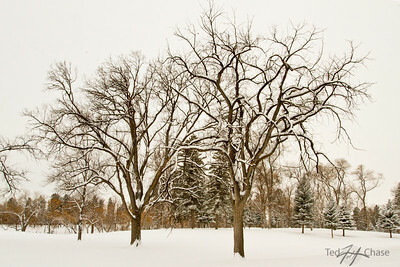 Landscape photography by Ted Chase. 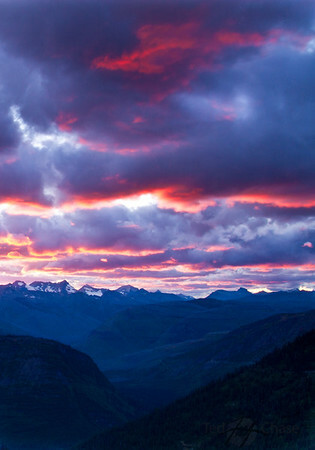 A collection of some of the most stunning landscapes I've seen in all my years of photography. 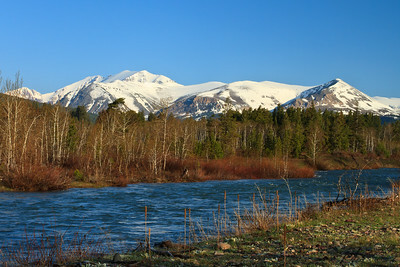 This was a beautiful scene as I just walked 46 miles in the back country of Yellowstone National Park. 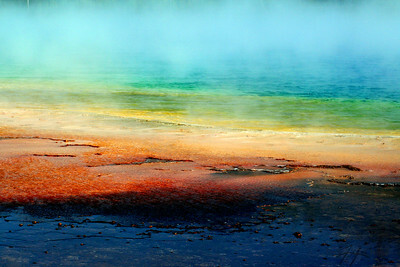 Yellowstone National Park has amazing splendor including Grand Prizmatic. A severe storm swept through eastern Montana closing the roads, this shack appeared lost in the snow. After a 4 day trek couldn't help but to summit Boulder peak to check out the view. 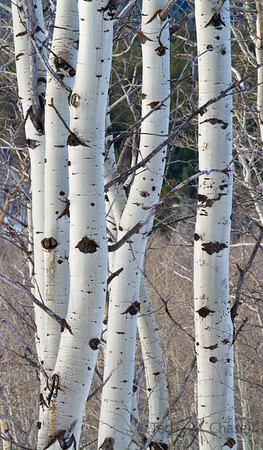 Aspen trees intertwine as fall nears. 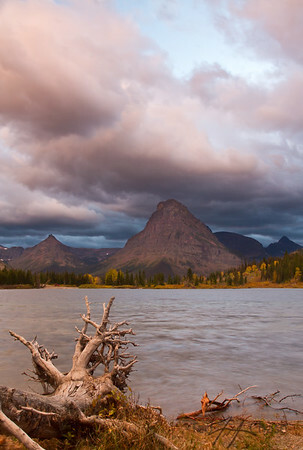 Fall settles in on the infamous Glacier National Park. 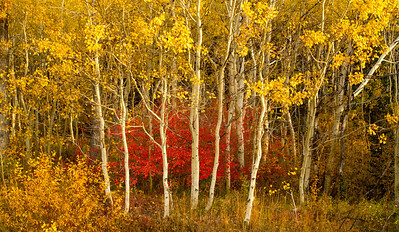 The colors were brilliant as I approached this aspen grove. 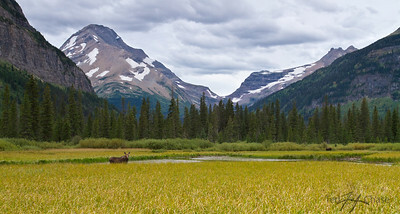 Two cow Moose feed in the high country as I walked past on a 38 mile journey over Gunsight Pass in Glacier National Park. The fall foliage along the Yellowstone river in Montana. Two Medicine Lake showing one of its many moods. 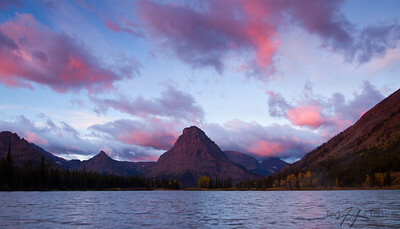 Some of the incredible beauty of fall in Glacier National Park. 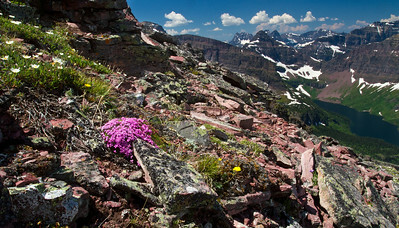 A sunday afternoon hike in my own backyard, the southeast corner of Glacier National Park. 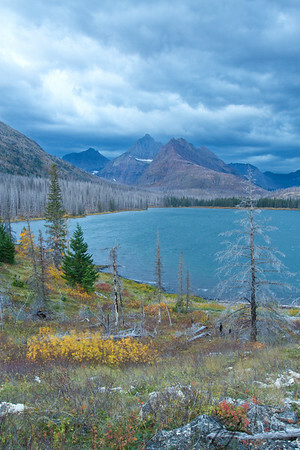 The fall settles in quick on a backcountry lake in Glacier National Park. A unique view of two medicine lake in Glacier National park at sunset, not another soul around as my brother and I watched. 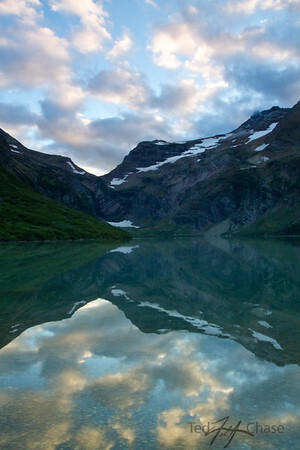 A sunset along Glacier National parks going to the sun road can leave a person speechless. 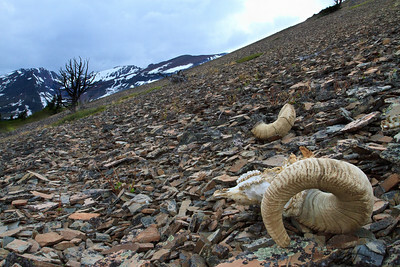 The spine was broken off from the skull as the scene unfolded I couldn't help but to imagine a tragic death of this Big Horn Sheep. While bush whacking Offtrail in Glacier National Park I happened upon this beautiful scene. 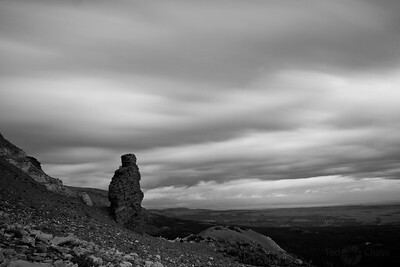 A day hike close to East Glacier Village resulted in some dramatic skies and a terrifying night after getting lost at 36 degrees and spending the night without any gear. 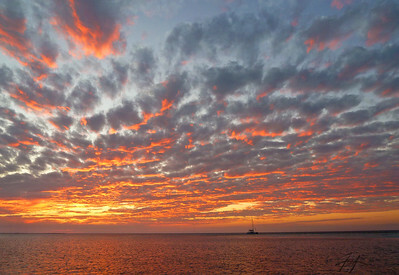 Off the coast of Belize enjoying the sunset. 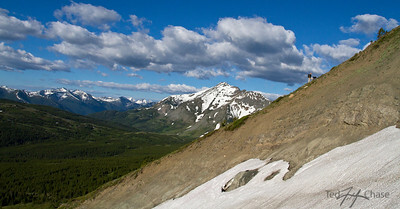 A beautiful view of the southeast corner of Montana's Glacier National Park. 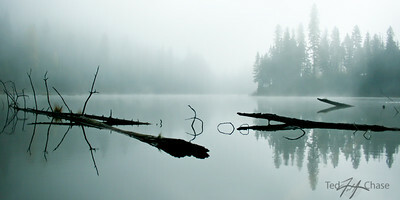 The mist rises off the lake as trout jump in the distance on this remote high mountain lake. 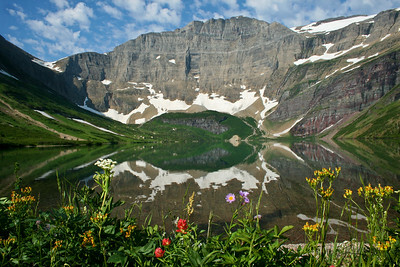 Not many people get to Helen Lake in Glacier National Park Montana its worth the extra mileage. 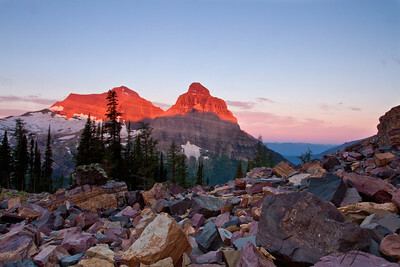 A spectacular sunrise on Boulder Pass revealing the incredible colors of rock, Glacier National Park. 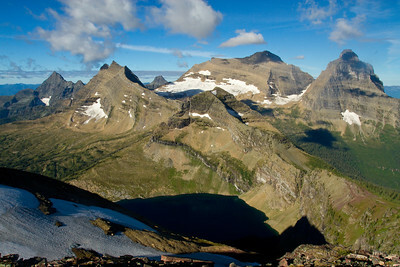 A long grueling hike to the top of Sinopah Mountain in Glacier National Park.